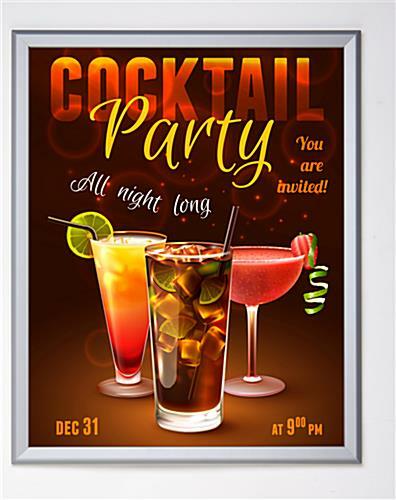 These 22x28 bulk silver frames are designed for wall-mounting in high traffic public areas. 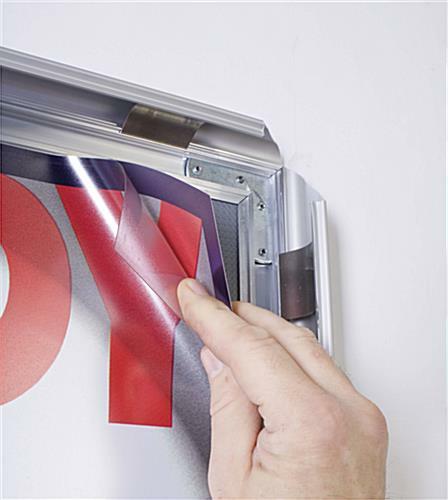 The simple "quick clip" aluminum framing snaps open to allow fast, easy poster changes without having to remove the graphics holders from the wall. 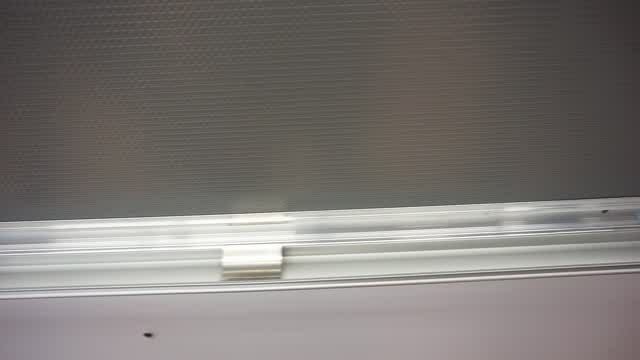 Each of these ready made 22" x 28" bulk silver frames can be installed in either portrait or landscape orientation and comes with a clear acrylic lens to protect images. 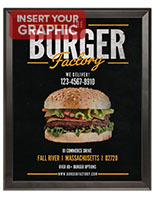 This type of high visibility graphics enclosure is ideal for showcasing advertisements, menus, service or sale information and wayfinding signage in high traffic areas. 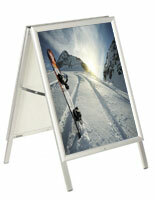 The snap-open bulk silver frames include all required hardware for wall mounting. 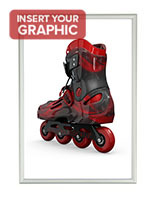 The stylish 32mm profile features a matte finish that wil complement any environemnt. 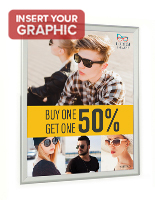 The easy to use silver poster frames with snap open design come with both a sturdy backing panel and a flexible, glare-resistant acrylic front lens. 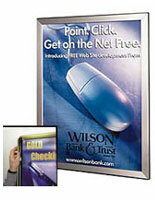 The simple quick-clip framing allows graphics and advertisements to be changed without un-mounting the enclosure. 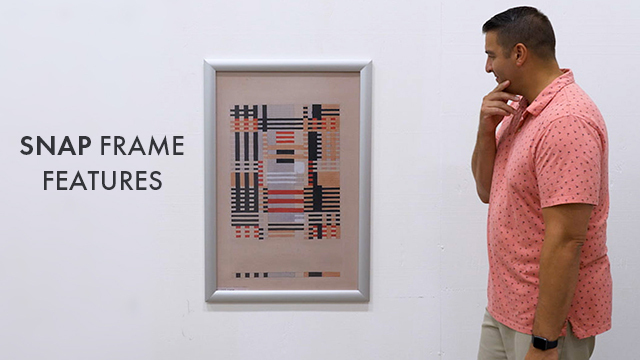 Ready made snap-open silver frames are ideal for use in high traffic areas such as lobbies, waiting rooms, hallways or concourses. 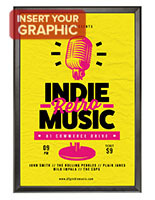 This type of easy-change graphics display is also a perfect choice for showcasing sales or wayfinding information in retail or service environments.